AC override-Turns on fans when AC clutch is engaged. Has adjustable temperature ranges. Compatible with Hayden electric fans and original equipment fans. Adjustable from 160F - 230F. 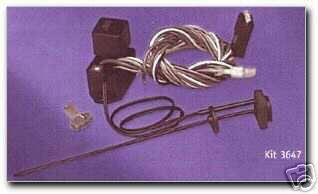 Probe installs into radiator fins. 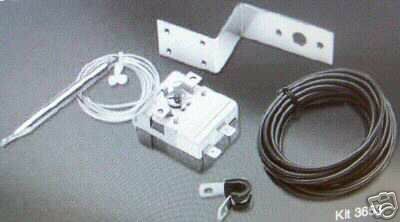 Works with your motorhome too! Has a preset range. Compatible with Hayden electric fans and original equipment fans. 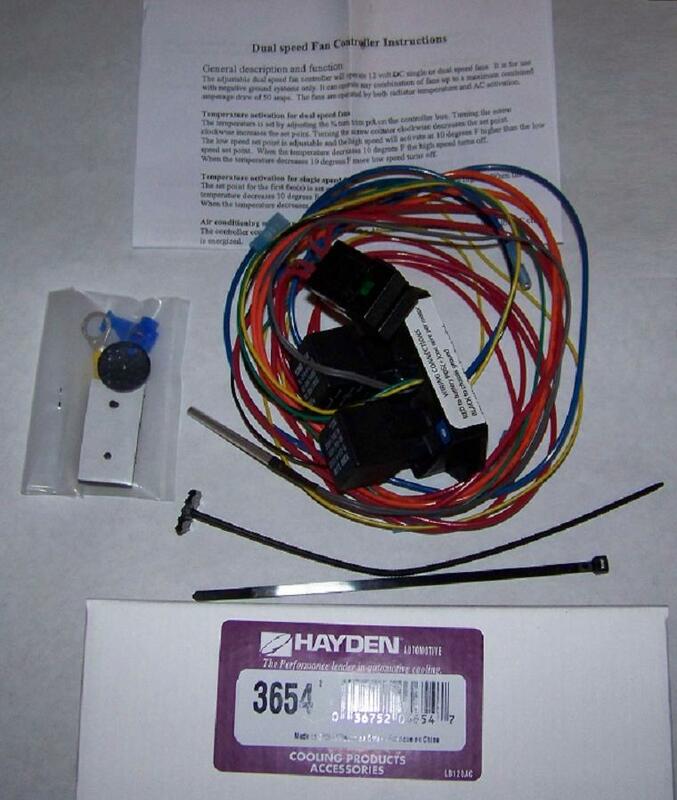 This switch will also run many of the Hayden Transmission cooler fans and other brands of transmission cooler fans as well! Would also work with Engine Oil Cooler Fans as well. Suggested for one fan only. Don't try two!